Recently, several reports by the US government have labeled China a revisionist power and a rival that tries to rebuild a world contrary to US values and interests. It is worth noting that US pro-establishment forces consider Sino-US relations in a strategic perspective within the global framework. Changes in the world are closely related to China and the US. 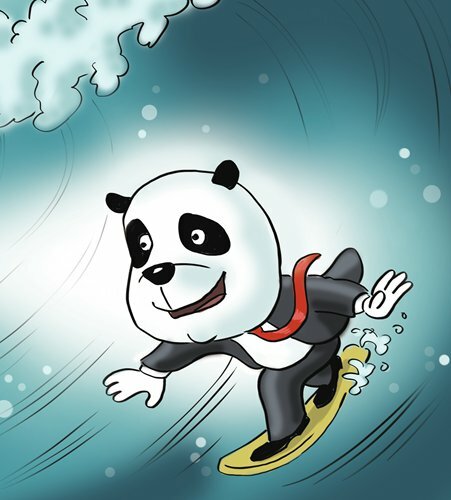 Hence, the Sino-US relationship must be defined and managed from a global perspective. China must act in keeping with the changing times to drive the initiative in bilateral relations and promote a new type of major-power relationship. The third wave of modernization led by emerging powers like China has spread over the Asia-Pacific, covering a population of nearly 4 billion. Unlike the former two waves, the third one is unfolding peacefully. This is because of two reasons. First, China has adhered to the principle of reform and opening-up, and the path of win-win cooperation. Besides, the post-World War II international system has provided institutional guarantee for economic globalization. Two global trends have emerged: global economic integration and political multipolarization. In this context, differing stances and countermeasures of China and the US lead to challenges to their relations. How to seize opportunities in the process contributes to their ties. In terms of global economic integration, although China and the US have conflicts, common interests outdo the challenges. After all, the dominating forces of the US economy - capitalists and transnational companies - have been deeply involved in the global economy. Actually, the focus of China-US competition lies in rule-making since both nations want rules to help them maximize benefits. In this sense, the two countries can meet half way and reach a compromise. With the international landscape developing into multipolarization, China and the US have different attitudes. China is optimistic about the change as a multipolar and diversified world not only leads to an improved security environment, but also shows the Chinese model to be right. The US is on the opposite side. Pro-establishment forces have realized that multipolarization will not only end US hegemony but also prove that the Western model of liberal democracy is not the only way to modernization, which can be achieved more rapidly and efficiently under socialism. So the US has tried hard to prevent multipolarization to protect its political correctness. As far as multipolarization is concerned, Sino-US relations face more challenges than opportunities. This is a contest between different development paths, beliefs and values, and the only way to maintain peace and manage conflicts is maintaining strategic balance. China wants to take the historic chance to develop Sino-US relations and China's President Xi Jinping came up with three key policies. First, China needs to promote free trade based on market mechanism, oppose protection and push for global economic integration. Second, China is the founder and protector of the current international system. China's new initiatives in dealing with global affairs are not to make new rules, but improve the international system based on multilateral mechanism and actively participate in global governance. Third, China develops cooperation and win-win relationship with other countries, striking partnerships instead of making allies. Since US President Donald Trump took office, conservatism has become the dominant power in US politics, bringing huge challenges in Sino-US relations. But the fundamental reason for the challenges lies in US policy aiming at reversing global economic integration and multipolarization. If the US policy works, it will hinder the third wave of modernization and deprive China of the historic opportunities. To overcome this challenge, China needs to go beyond Sino-US relations and work with others countries to promote global economic integration and multipolarization. If China follows the development of the world, it can take the initiative to remove hurdles in its ties with the US and maintain a steady relationship. After all, once the third wave of modernization succeeds, civilization will reach unprecedented heights and the world including the US will benefit.